I bet we all love crispy things, so what can be better than to join in the celebration of National Crisp Sandwich Week and indulge ourselves with some great tasting Crisp Sarnies. I like a variety of textures in my food and as much as I really enjoy a crispy taste, sometimes too much “crispy” is just too much, so my recipe idea gives the perfect balance between crisp and soft. Now let’s talk how to put it all together. First things first – wash your tomato and basil and dry with kitchen roll ready for chopping. 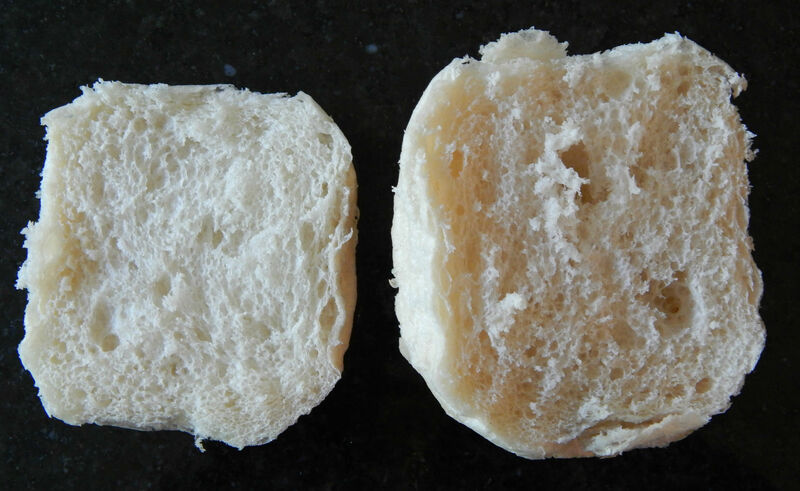 Cut your roll almost in half – ideally you want to cut it about 2/5 from the bottom. The idea is to have a bit bigger “hat” part. 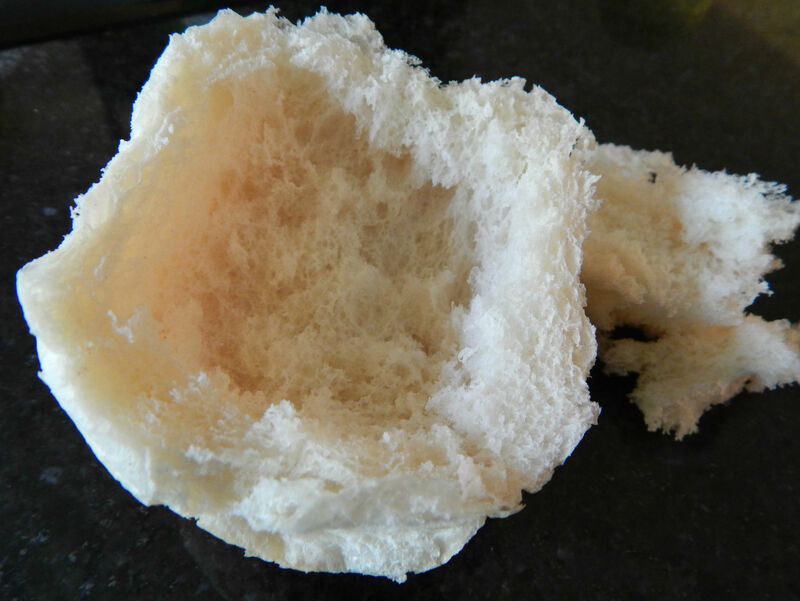 Now, the magic bit – pull out most of the roll from the “hat” part creating a lovely hiding spot for your crisps. Add two slices of ham. Add 2 thick slices of tomato. Add the rough chopped basil. Now add the remaining two slices of ham. The idea is to cover the moist tomato with something which will prevent the crisps from going soggy if it is not to be eaten immediately. If it is to be eaten immediately this will most likely not happen, but I know from experience that sometimes is it not so easy to get everyone to the table instantly – I hear “Ok, I am coming” and five minutes later the food still sits there unattended. So… to avoid soggy crisps you have to protect them! Finally add as many large pieces of crisps as you can fit or want on top of you masterpiece. Now add all those small, broken crisps from the bottom of the packet to the “hat” opening you made earlier. With a swift and deft movement put the two halves together and enjoy! 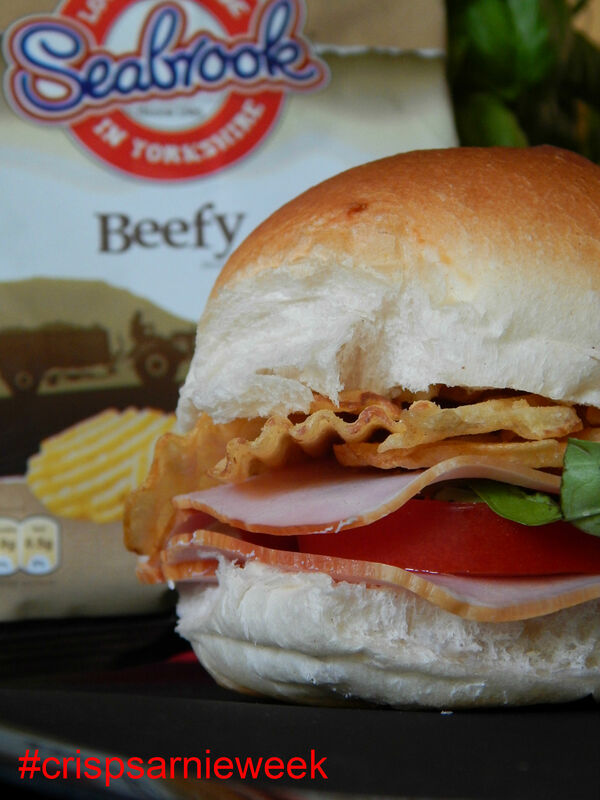 As a point of interest, just in case you are wondering why the tomatoes have to be thick sliced, I will explain… They will perfectly balance out the crustiness of the roll and the crispy crisps, creating a truly tasty sandwich. 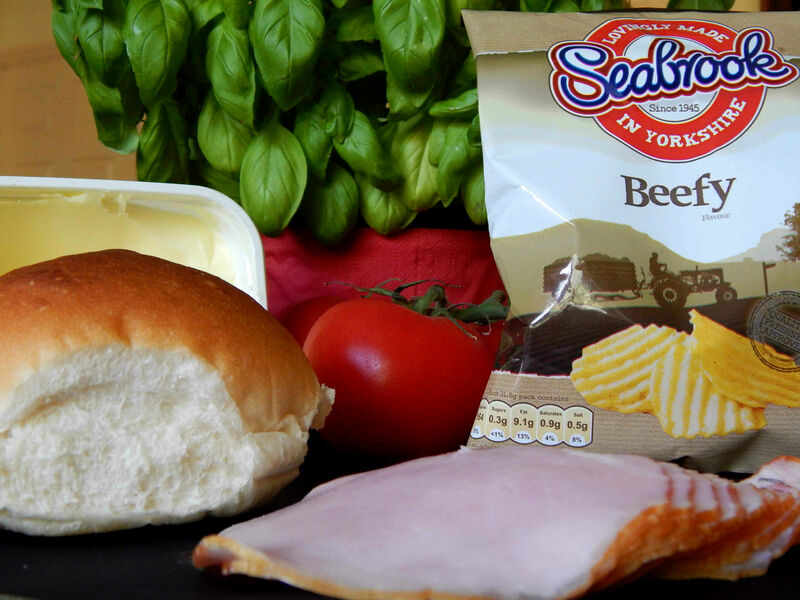 What’s your favourite combination for a Crisp Sarnie or are you purist and only put crisps in? 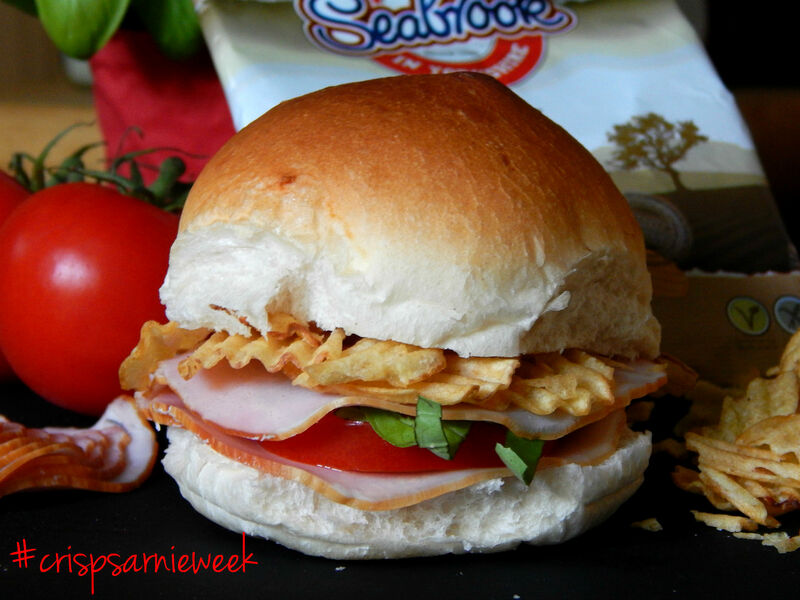 * This recipe is my entry into the National Crisp Sarnie Week competition with Seabrook crisps. < Previous Is your phone trying to kill you? I can do this in a gluten free and vegan way. I’m sure the girls will love the crunch! Oh what a good looking sarnie ! Even better that it is crispy ! I haven’t had breakfast yet and I am drooling !! I thought I was the only one that put chips on my sandwich good to see I have company…lol. I love the crunch. I love this idea! I thought I was the only one who ate chips on my sandwich. Now a place to hold them! This looks so good, except the mayo lol. I use butter in place of mayo because I just don’t like it. Now I’m craving a crisp sarnie. Yum. hi Terri, There is no mayo in my sarnie. I think you must have read something wrong. Never tried chips in a sandwich but looks good! Must give this a try. Thanks for sharing! I always used to put chips or cheetos on my sandwiches when I was a kid. I love the idea of scooping out the top for the chips! Wow ! That’s looks so good !